Rustici Dispatch connects with your application via an API to help you maintain control of eLearning content and share it with other LMSs or learning systems. 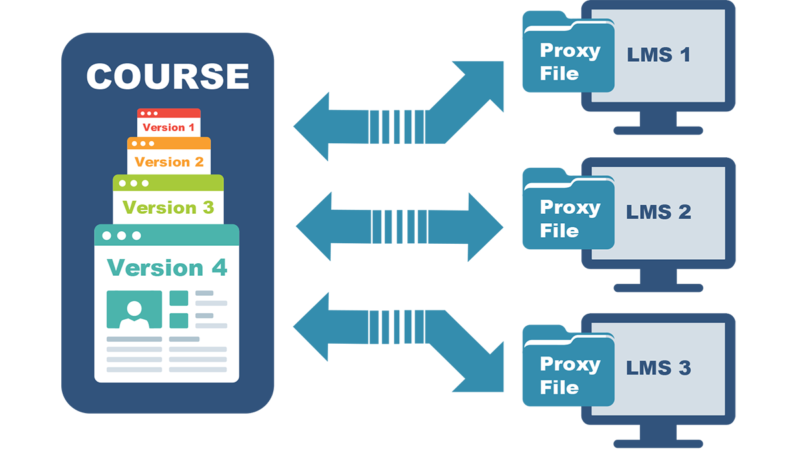 Centrally hosting your courses lets you distribute your content to any LMS, in any standard, without you having to worry about the intricacies of SCORM, xAPI, cmi5, AICC and LTI. Rustici Dispatch lets you update your content in one place and make that version immediately available to every LMS. That means no more manual updates and no risk of old courses floating around in the wild. Turn access to your content on or off as you please. Whether you want to protect the distribution of your proprietary content or you want to enforce license limits, Dispatch can help. Connect Rustici Dispatch with your eCommerce platform to help you easily manage course subscriptions. Course usage data is at your fingertips. Dispatch allows you to track how content is used after it’s sent to an LMS and aggregate data across platforms. With Rustici Dispatch, you can share your courses in the standards your customers require. Whether you decide to use SCORM, AICC, xAPI or LTI, you’re no longer limited to what standards your customers’ LMSs support. Extended enterprise is a must-have for LMSs that want to stand out in the market. 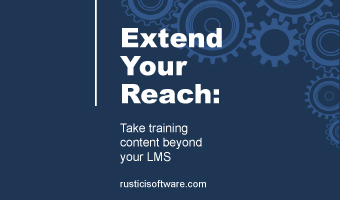 Rustici Dispatch is your answer to ensuring you can deliver content to an outside LMS while maintaining control. By integrating your application with Rustici Dispatch via the API, your learning system can deliver course packages to other eLearning platforms. Create your courses in whichever standard works best for you – whether SCORM, xAPI, cmi5 or AICC – and export it as a dispatch package in SCORM 1.2, SCORM 2004 or AICC, or as an LTI tool provider to import into other learning systems. A Rustici Dispatch package is a shell of a course that’s imported into an LMS. When a learner launches the course from their LMS, Rustici Dispatch points the platform back to your original course file on your servers. If you prefer for Rustici Dispatch to sit on your own servers, you can use our on-premise deployment option. Rustici Dispatch can be deployed on Linux or Windows machines and comes with support for SQL Server, Oracle, Postgres and MySQL. Don’t have the time or resources to deploy Rustici Dispatch? Use our managed hosting services and let us handle it for you. We maintain each client’s environment in isolation and ensure you always have the latest version of Rustici Dispatch. Use SCORM Cloud’s dispatch feature by integrating with Cloud via its API or using the feature directly within the application. Enjoy no up-front costs and a pay-as-you-go, monthly pricing model. It’s a good fit if you’re distributing a low volume of content or want to get up and running quickly. Rustici Dispatch takes distribution pains off your shoulders but if you also want learners to log in to your application to take courses, we can help with that. Rustici Engine takes care of import and launch of SCORM, xAPI, cmi5 and AICC content and lets you deliver courses directly to learners. Excited about all of the strategic possibilities brought by Dispatch but feeling stressed out about integrating our API with your application? Content Controller is a web application that helps you centrally host content and seamlessly deliver it to multiple LMSs. 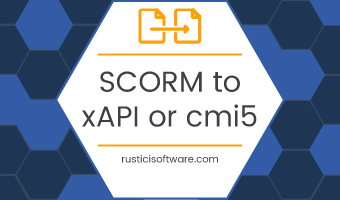 Like Rustic Dispatch and Rustici Engine, SCORM Cloud can help you deliver and maintain control of your courses. Log in to SCORM Cloud’s SaaS application or add Cloud’s capabilities to your application via API. Want to keep learning? Check out one of these resources. Ready to talk about Rustici Dispatch? Get in touch to talk about how Rustici Dispatch can help you.